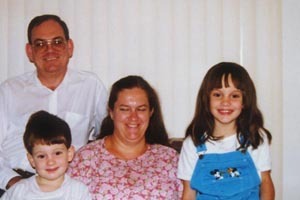 HOMEPAGE The Family - 1998. We are a family of 4, originally from Zimbabwe and South Africa, we have settled in Winston-Salem, North Carolina for a while. The main purpose of this website is to provide a source of news for family and friends back in Southern Africa. We will also publish information about the places that we visit, and the things that we see. This page created August 5,1998 - last updated April 19, 1999.